Hyo Yung overslept and was about to miss breakfast and so I had to roust her out of bed to get going. I had already eaten and packed up and I wished her safe journey as I left. 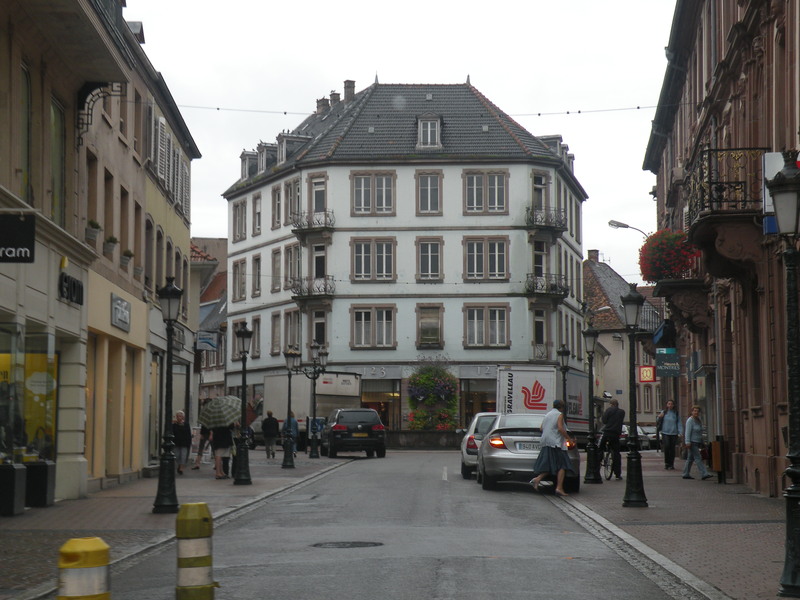 I got on the road on this rainy day and made my way west and across the Rhine and back to France. 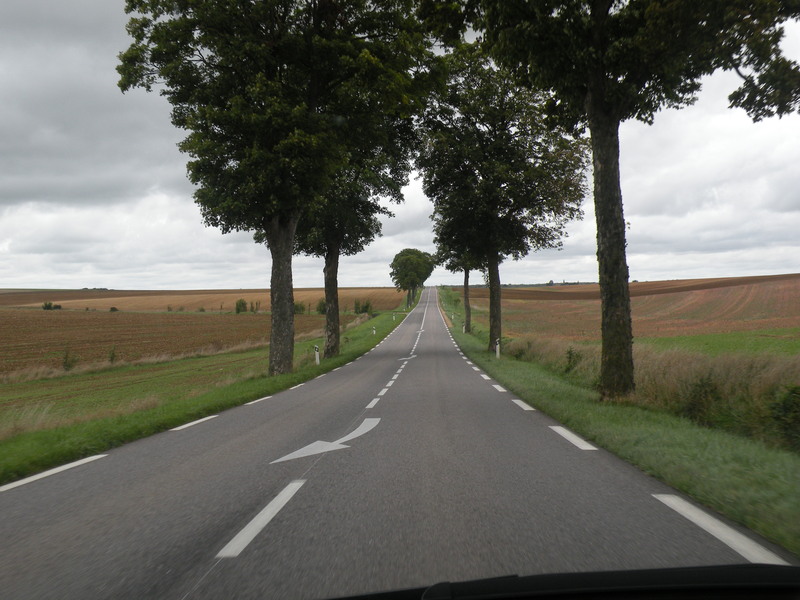 It was a nice driving day though as I tried to stick to the side roads and hopped from one small town to the next. 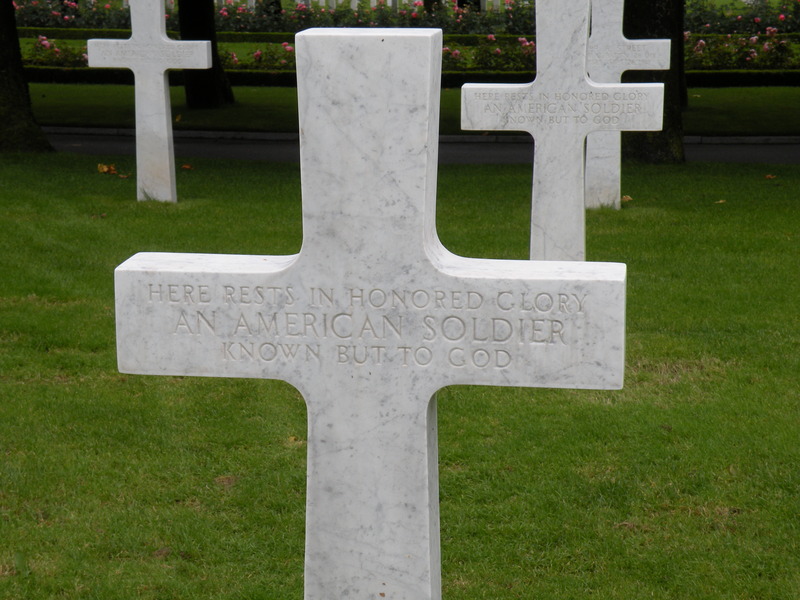 The weather started clearing up a little and I was driving through a town and saw a sign pointing the way to an American Cemetery. I wasn’t sure which one, so I went to check it out. 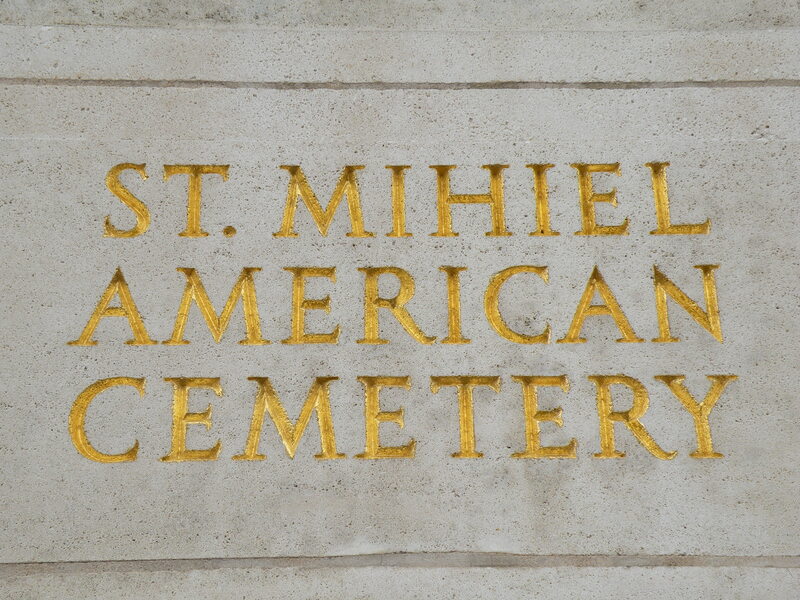 It’s the World War I Cemetery at St. Mihiel and is the final resting place for 4,153 soldiers, most of whom were killed in 1918 during the battle of St. Mihiel in which soldiers under the command of General Pershing broke the German salient and pushed the Germans into retreat. It was one of the first major battle victories of the relatively new and inexperienced American Army. 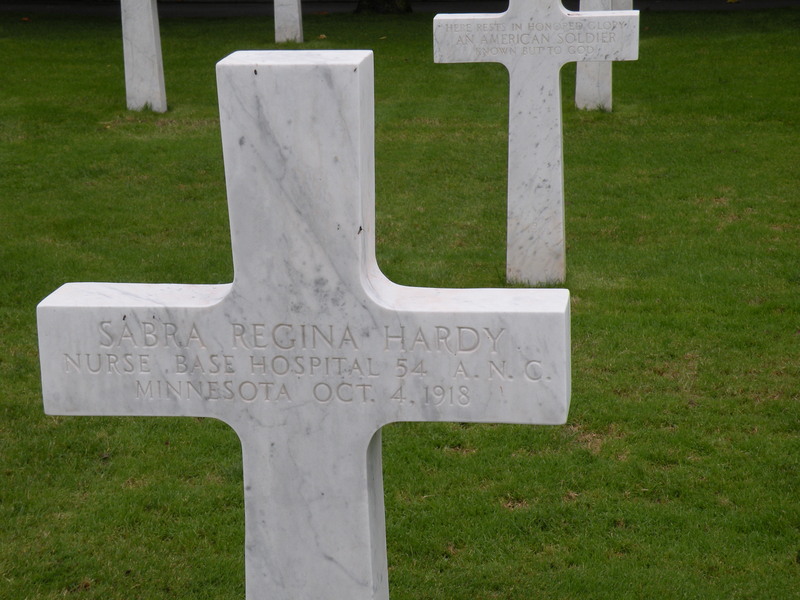 I noticed a few headstones that read “HERE RESTS IN HONROED GLORY AN AMERICAN SOLDIER KNOWN BUT TO GOD” and I noticed one for Sabra Hardy, an Army nurse from Minnesota. 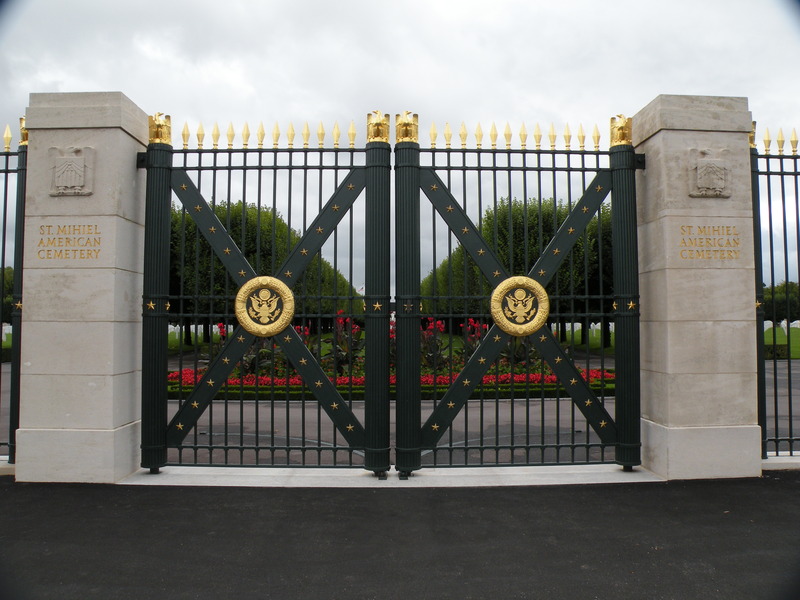 Just like at Omaha Beach, I was struck by the landscaping and the upkeep of the grounds. Although not planned, this turned out as a World War themed day. I was heading for Verdun where I was thinking I’d spend the night. 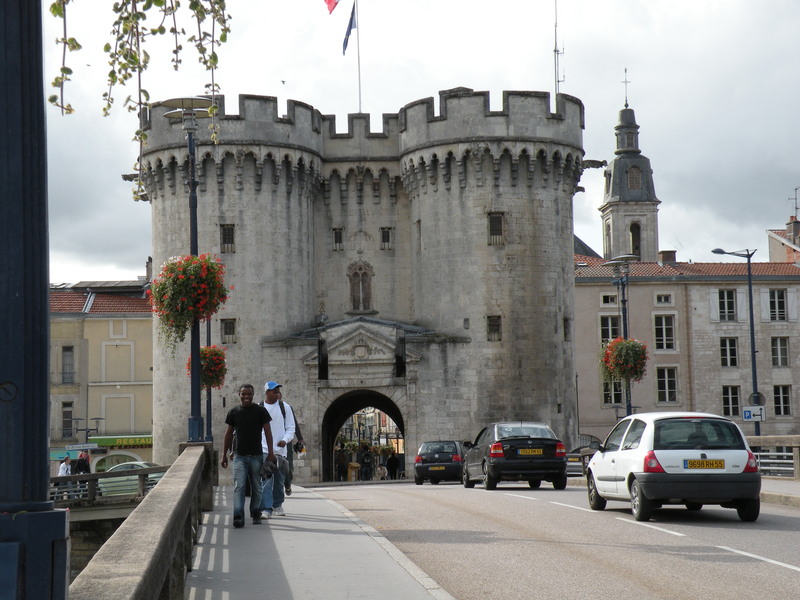 I got there and as you may know, major World War I battles were fought in and around Verdun. 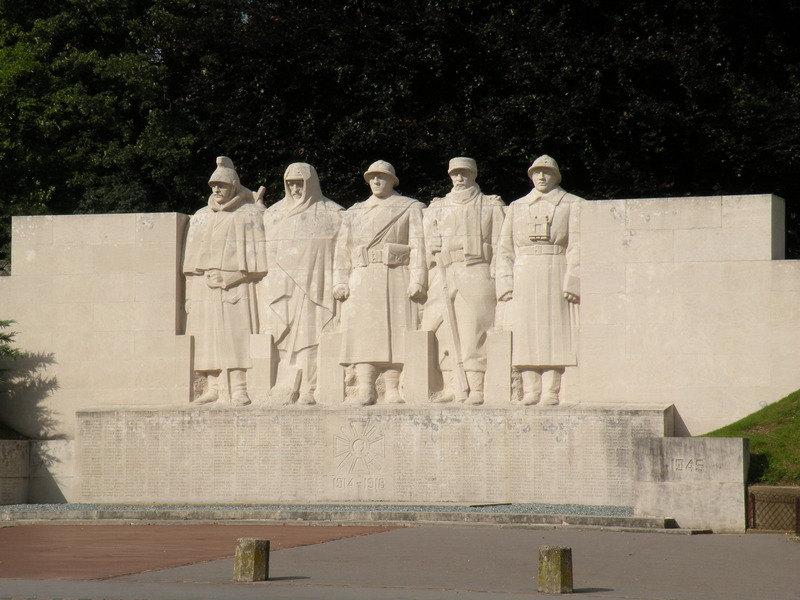 The battle of Verdun was the longest and one of the bloodiest of World War I. I walked around town for a while and stopped at the tourist information center and they told me I’d have a tough time finding a room for the night because of an agricultural convention and an upcoming World War I conference so I figured I’d move on then. As I was still walking the town and taking pictures, I noticed and old guy and an even older guy. I walked up to them and asked if they were Americans and they said yes. The old guy is from Houma Louisiana and the older one, his dad, is from Mississippi. I asked if they had served and the younger pointed to the elder who was wearing a cap indicating a World War II veteran. I asked him if I could shake his hand and he proudly presented his hand which was my honor to shake and I thanked him for serving and for his sacrifice. He bit his lip a little and just nodded, fighting back the emotions and unable to get any words out; I think I caught him off guard. The son said he had to go off and find a bank to get some money and so Jimmy Pearce, who is in his 90s, and I started talking a bit. 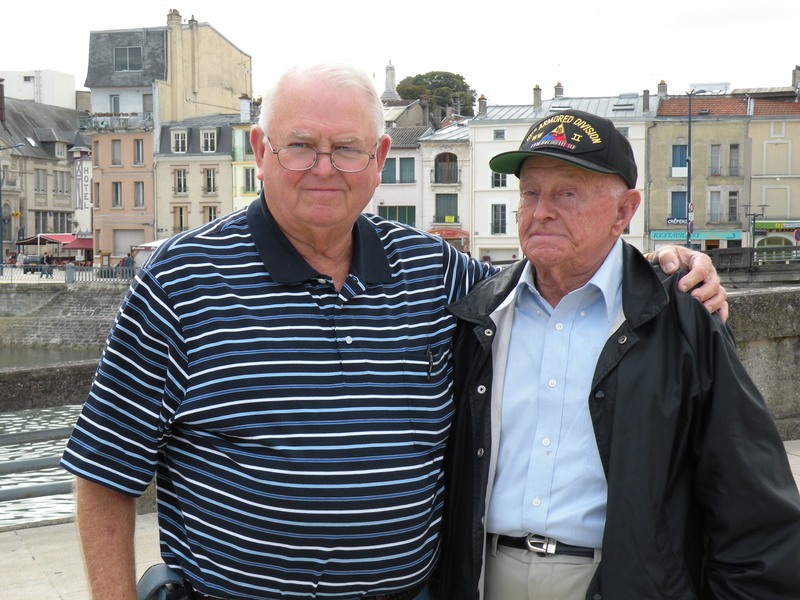 This is Mr. Pearce’s second visit to France, his first being his landing at Utah beach in 1944 followed by his fighting with the 10th Armored Division under General Patton. He fought near Verdun in a town called Thierville (sp?) where he was badly wounded. 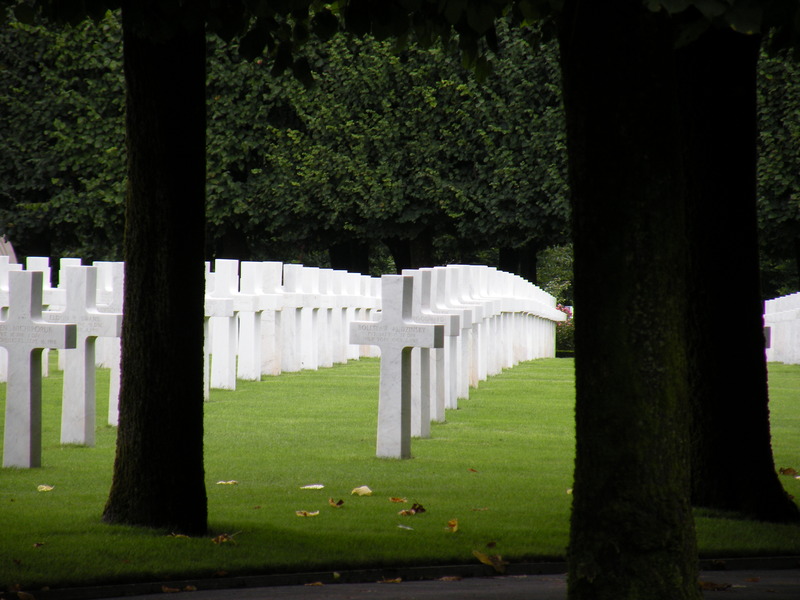 He said it was when he woke up in a hospital in England that he found out that every one of his buddies were killed that day in France; he was the only one that survived. What a horrible thing to have to live with for so long. Neither one of us had dry eyes. He commented on how built up the area is now. Back then the roads weren’t paved and people got around in horse drawn carriages. He expressed his frustration at how Germany and Japan and other places Americans have fought, have just been given back to them and built up while our own country is going to hell in a hand basket. From other comments he made, I got the impression he hadn’t yet forgiven the Germans and is still bitter. Well Mr. Pearce, I hope you can forgive someday, but if not, I reckon you’ve earned the right to feel however you want to about it. It was my honor to meet and talk with him. 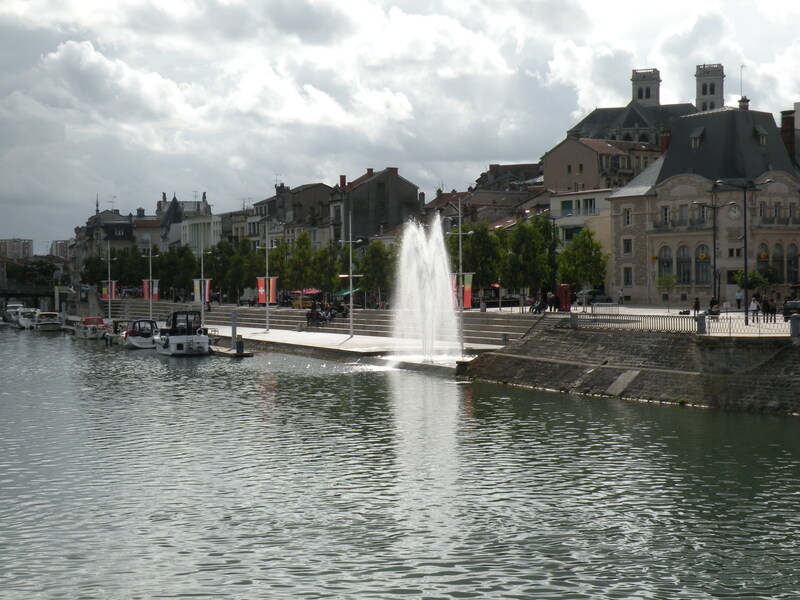 I drove on, this time taking the A4 to pick up some time to make it to Reimes which might be a good place to stop for the night. It was a good drive and I didn’t feel like stopping. I had also been planning to spend two nights in Paris and then I had reservations at a hotel near Disneyland for my last couple of nights. But what to do with my car while in Paris. 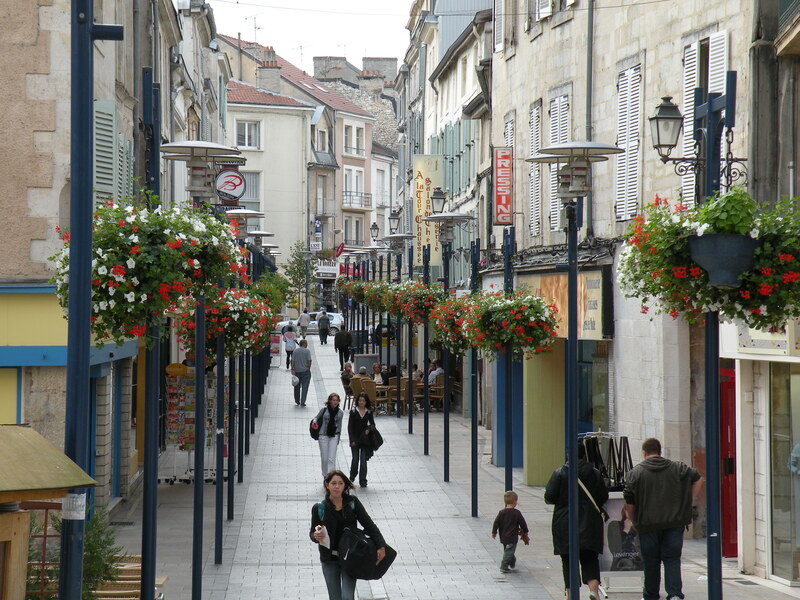 There are five hostels in Paris none of which have parking. I had checked some other hotels that I was interested in and they didn’t have parking either. I was thinking I’d have to park at the airport and then take the metro into town. Oh God, not that again. After some deliberation and frustration, I called the hotel near Disney and asked if I could arrive today and they said yes. I figured free parking, I can take the train from Disney into Paris if I want to, I get to stay six nights in one place so no more packing and unpacking, I have free internet access in my room, and I eliminate a big production when I move from Paris to Disney. Sounds pretty good. 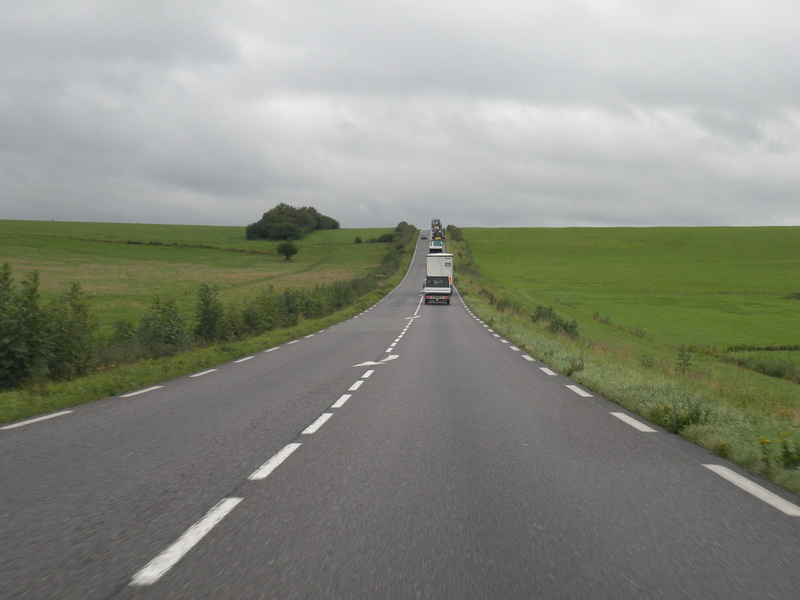 So onward I drove, arriving at the Kyriad Hotel about 30km east of Paris, near Disneyland Paris. I got checked in and the hotel is nice, the room is great, the toilet has a seat, there’s a tub, the bed is comfortable, there are families all around and loud kids, the place is all Disney-esque and Americanized. I don’t know, it just wasn’t right, it’s kind of disappointing. I wasn’t ready for this yet, I was still in the European mindset. This is culture shock. How am I supposed to go to Paris now? Maggie, thanks so much for the picture and info on Jimmy Pearce. 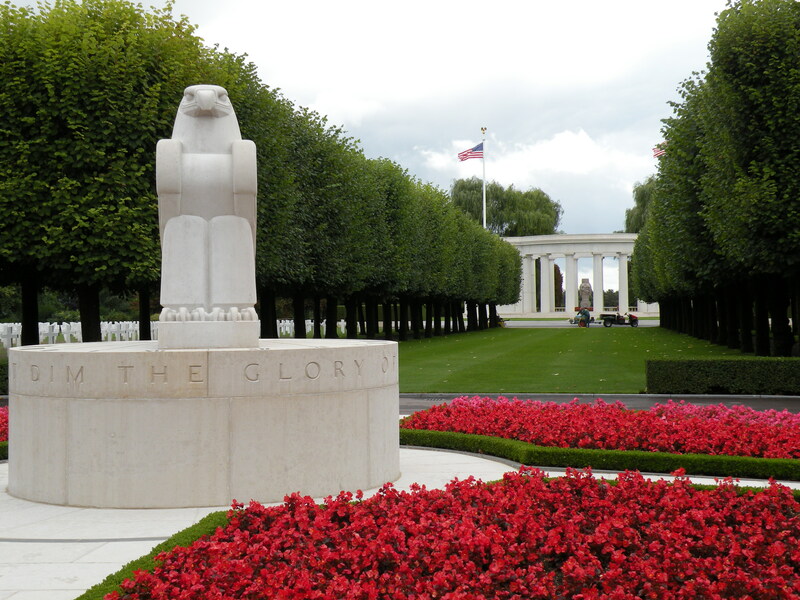 My dad also served with the 10th Armored Division in France, Belgium, and Germany so the story touched me even more.